Vision Trends, located in The Woodlands, TX was the launch pad of the Vision Trends network. An affiliation of highly trained professional doctors in the eye health community who strive to offer each patient the high quality personalized care they deserve. Drs. Toups and Inns added the Q-2100 Digital Lens System with nanoCLEAR AR to their practice in early 2011. “Our commitment is not just in meeting your expectations, but in exceeding them as we know how much your eye health and appearance can mean to the quality of your life, we are committed to excellence in servicing your complete eye care needs,” states their website. 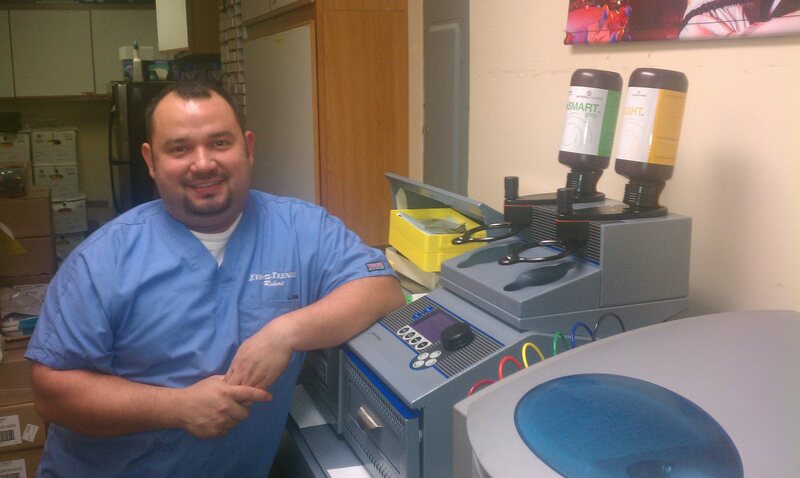 Mr. Robert Perez, lab technician, has been operating the system since installation. “I like that I am able to make high end lenses in an hour,” shared Robert. “Patients are happy when they can get a high quality lenses in a short amount of time,” he added. The addition of this technology has allowed the practice to dispense quality eye wear quickly, while at the same time improving their bottom line.